The city of Genoa, in the region of Liguria in north west Italy, is a classically Italian city, built between the mountains and the coast and filled with impressive art and architecture. Natalie and I went here for a 4 day holiday, using Genoa as a starting point, then heading along the coast to visit the Cinque Terre. Le Strade Nuove literally means ‘new streets’ in Italian. It refers to a small number of the streets in Genoa on which grand mini-palaces known as Palazzi dei Rolli were built in the late 16th and early 17th centuries. 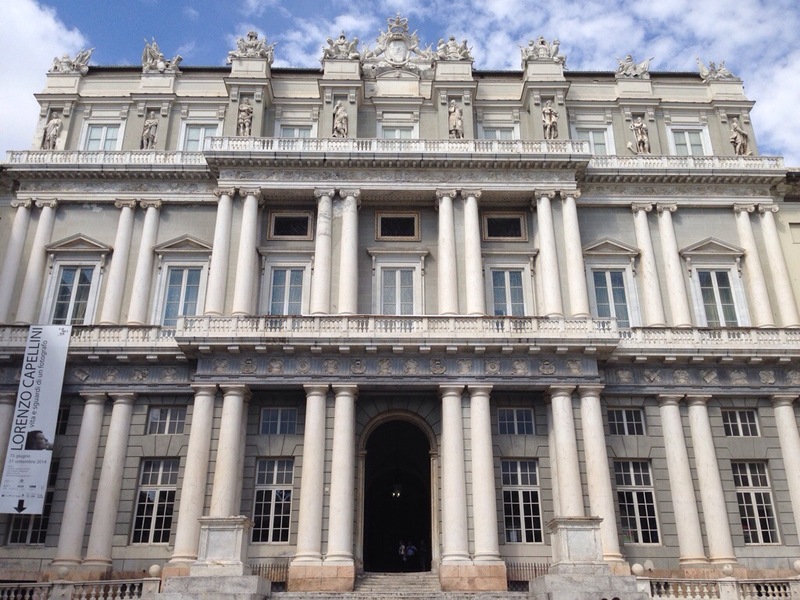 The Republic of Genoa was at the time one of Europe’s most successful and wealthy city states, and the merchant class decided to build mansions to prove it. 42 of them are today inscribed as part of the World Heritage Site, of which 5 are open to visit as museums, whilst the others remain in private use. I do like to see old and prestigious buildings still being made use of if possible, so long as at least some are made available for the public to visit. Genoa airport is very close to the city centre, although we paid a handsome €30 for a taxi to our hotel. Better value, though, is entry to three of the Palazzi museums, which was reasonably priced at €9. 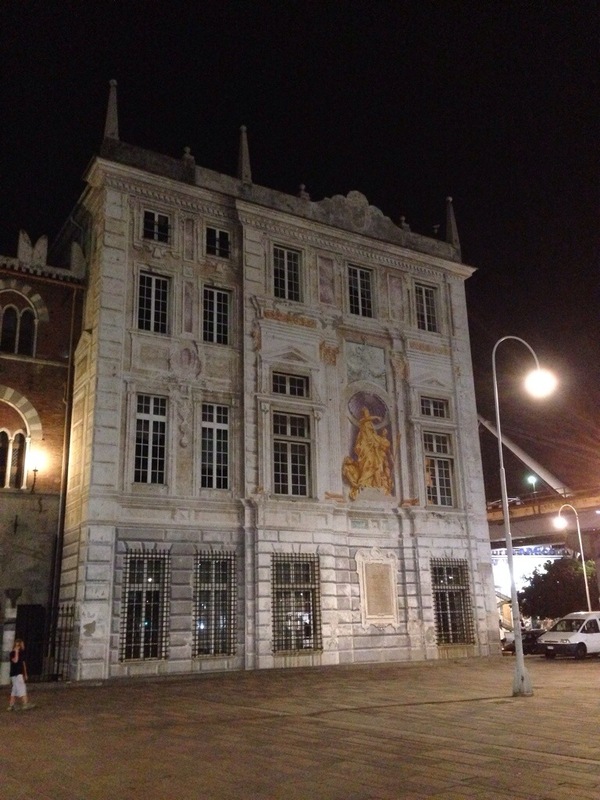 This includes the Palazzo Bianco, the Palazzo Rosso and the Palazzo Tursi. The first two are full of Renaissance art, including Caravaggio’s Ecce Homo and Dürer’s Portrait of a Young Man. The Rosso in particular also tries to give you a taste of how the palazzi would have been decorated back when they used to be inhabited. The Tursi focuses on decorative art, containing all kinds of crockery and coins. 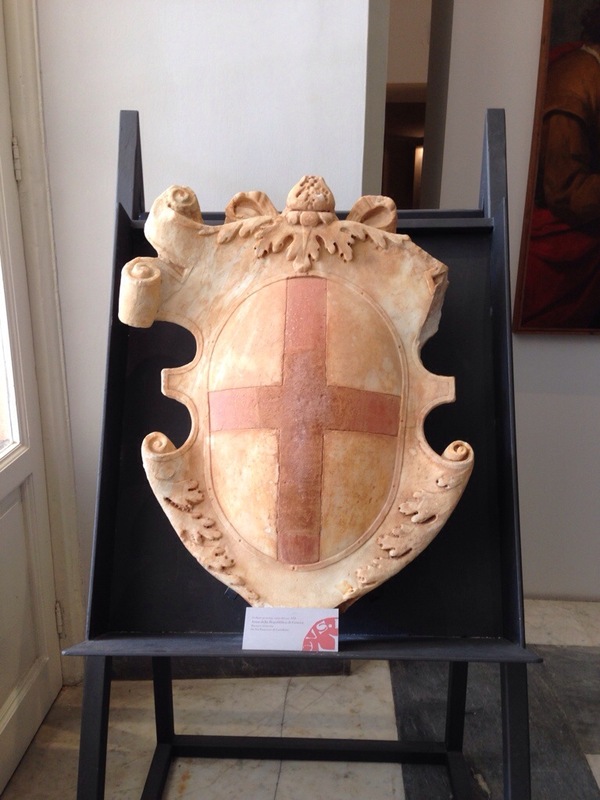 One of the exhibits is something you can see all over Genoa: the cross of St George. Although they weren’t the first people to venerate St George, the Genovese are credited with assigning his flag as a red cross on a white background, and it is thought that it was from Genoa that England took the idea on too. With all the St George’s flags you see imprinted on buildings or flying from flagpoles it is like being back home during a World Cup. And here you can see the cross above the front entrance to the Palazzo Tursi. 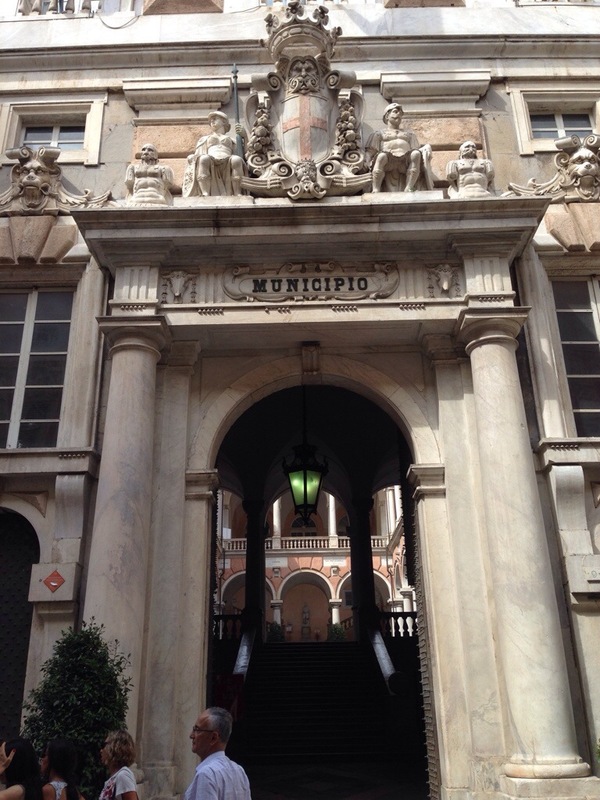 Genoa was also home to what is sometimes described as Europe’s oldest bank: The Bank of Saint George. Founded in 1407, it served a key role as a mechanism by which savings were used to finance trading voyages, and in so doing facilitated Genoa’s rise as a regional power. The palazzo in which the bank was housed is shown below. If you look to the right of the building you can also make out something that is not quite so pretty: a raised motorway the locals call La Sopraelevata. I don’t quite understand how it was that a raised highway was permitted to be built down the length of Genoa, cutting off its historic buildings from the sea, but it’s a real eyesore. Outside of the WHS, what else is famous about Genoa? Quite a few things. 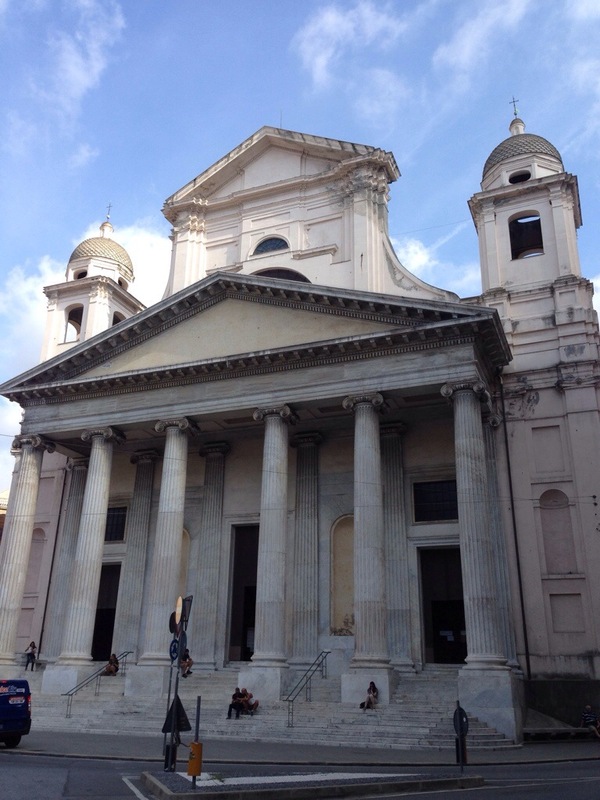 The city’s cathedral, dedicated to San Lorenzo, is a vast and very old major cathedral, dating back to 1110. It is an impressive building, made from alternating rows of dark and light stone. 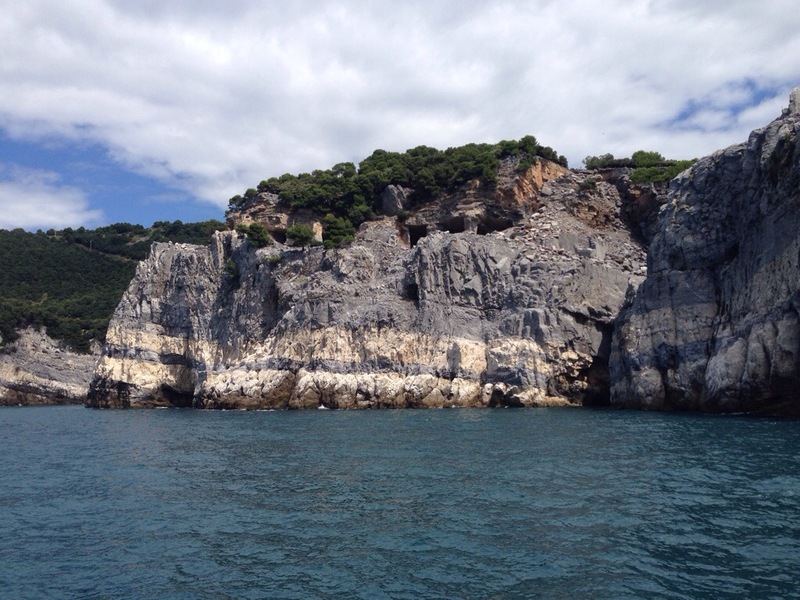 Later, when we were taking a boat down the coast past between Portovenere and Riomaggiore we passed cliffs and quarries with rock that naturally takes on a similar pattern. 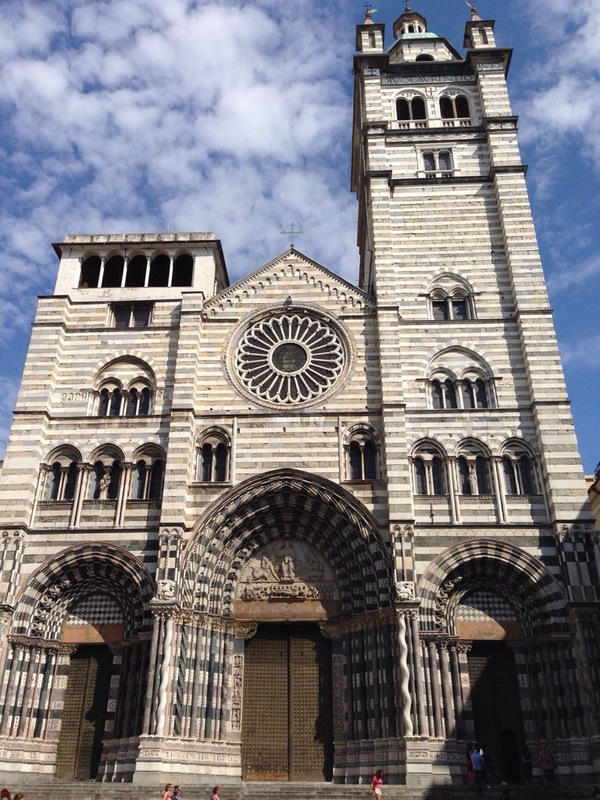 I can’t find any mention of it on Wikipedia, but I wonder whether the stone used in the cathedral came from, or was at least inspired by, the cliffs of La Spezia. 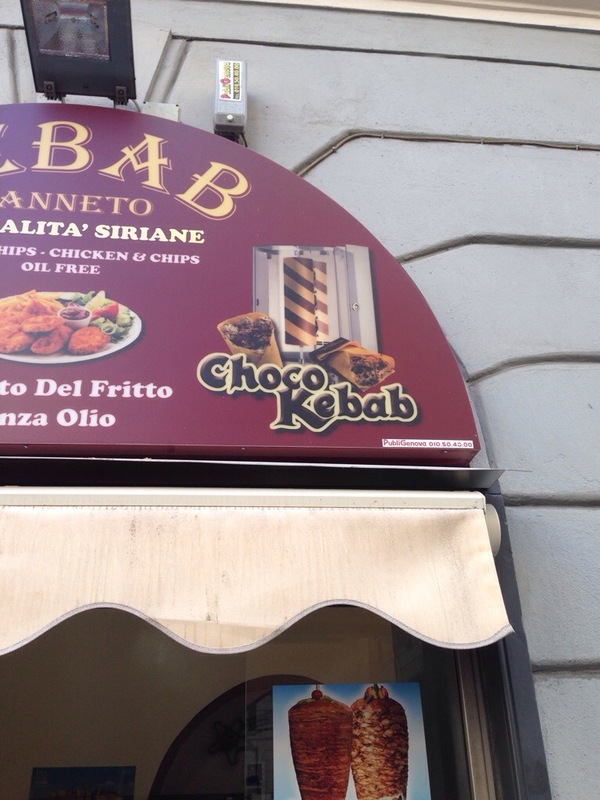 Something they can be proud of, though, is their pasta and cured meats, of which we had plenty. 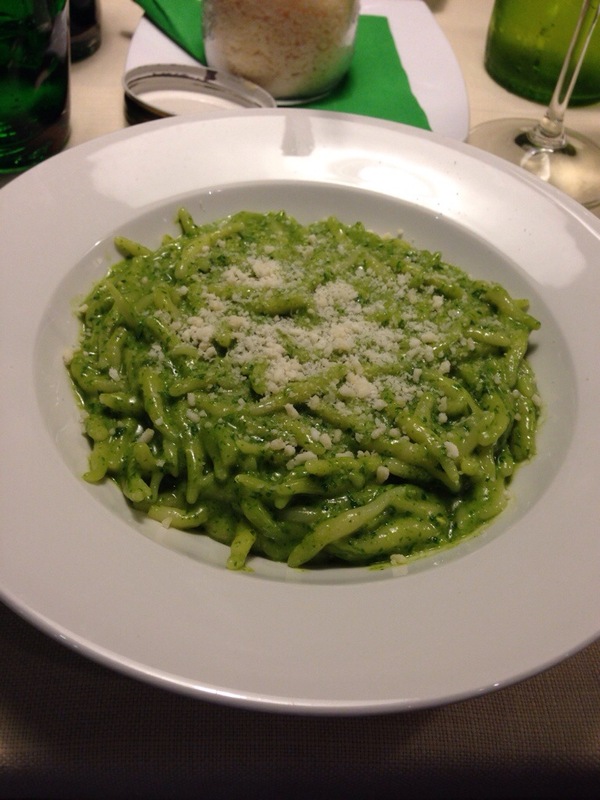 Liguria in particular is known as the home of pesto sauce, and we had some good bowls of Trofie al Pesto Genovese in order to taste the difference between the real version and the kind you get in a jar back home. In the restaurants it was much creamier than the pesto I’m used to, and milder in flavour. We had our best meal of the trip in the Trattoria Rosemarino, which I can certainly recommend. A trattoria is described as being less formal than a ristorante, but the only difference I noticed is that you have to pour your own drinks. If that’s the reason we were able to get bottles of wine for as little as €9 then I’m all for trattorias! 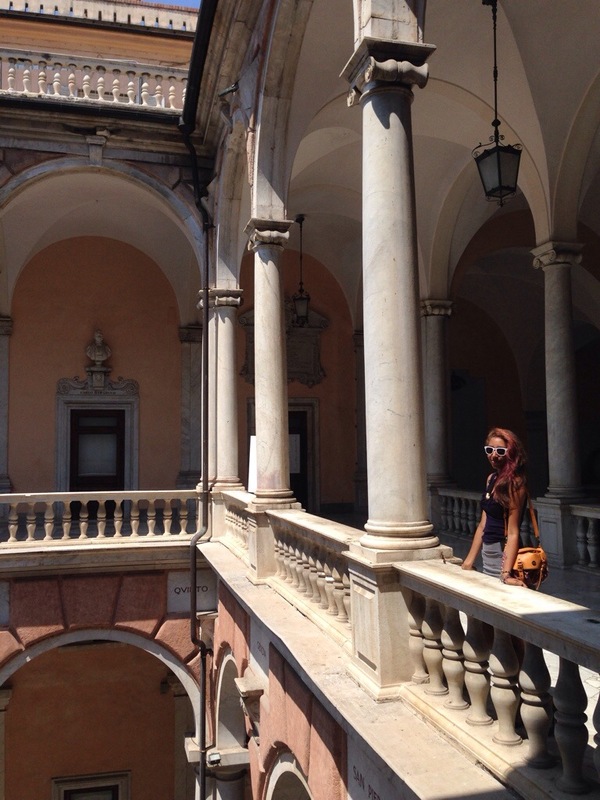 Near to the cathedral is the Palazzo Ducale. 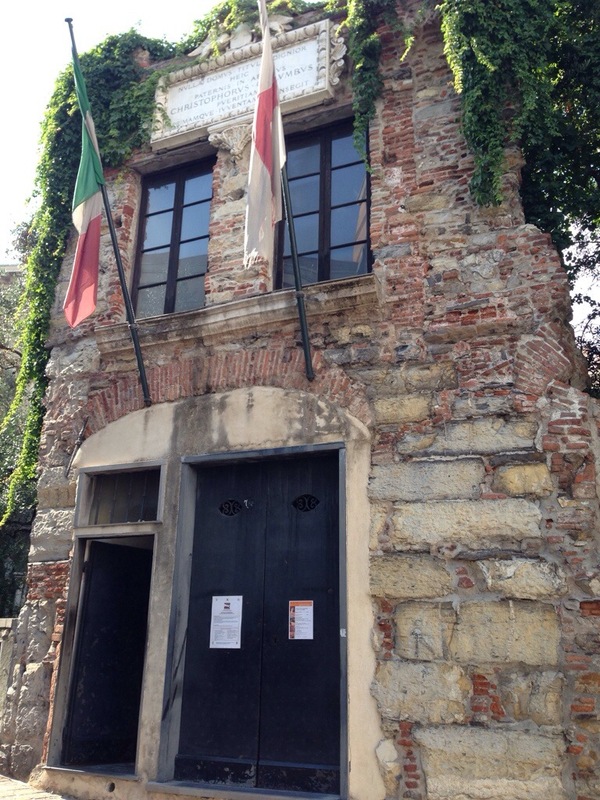 Out of my photos, this picture I think gives you the best impression of what a Genovese palazzo looks like, although for some reason this – possibly the most prominent palazzo in the city – is not inscribed as part of the WHS. They have a Frieda Kahlo exhibition planned for September (she of the bushy eyebrows) which looks quite interesting. Another notable product of Genoa was Christopher Columbus. You can go inside his house for only €3, which sounds like a bargain. 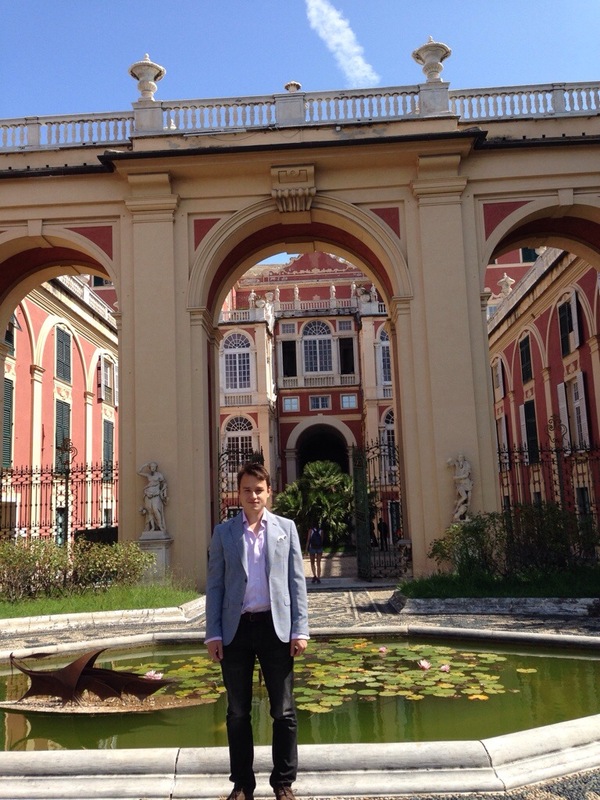 But when you see the house and go inside it you can see why they only charge €3 – it is absolutely tiny. Evidently Columbus wasn’t born rich, or perhaps he enjoyed the cramped conditions of life at sea so much he wanted to replicate it back on land. Also included in that €3, to be fair, is entry to climb up one of the old city gates and get a decent view over Genoa. The best view of our trip, however, was from the top of the Palazzo Rosso, where you can go up to the roof terrace and get a panoramic view over the city. The Italian museum curators were extremely insistent that we follow the specified routes around their almost empty museums, so we found ourselves being forced to go up to the roof terrace a second time after taking a shortcut on our way back down from our first visit to the roof! 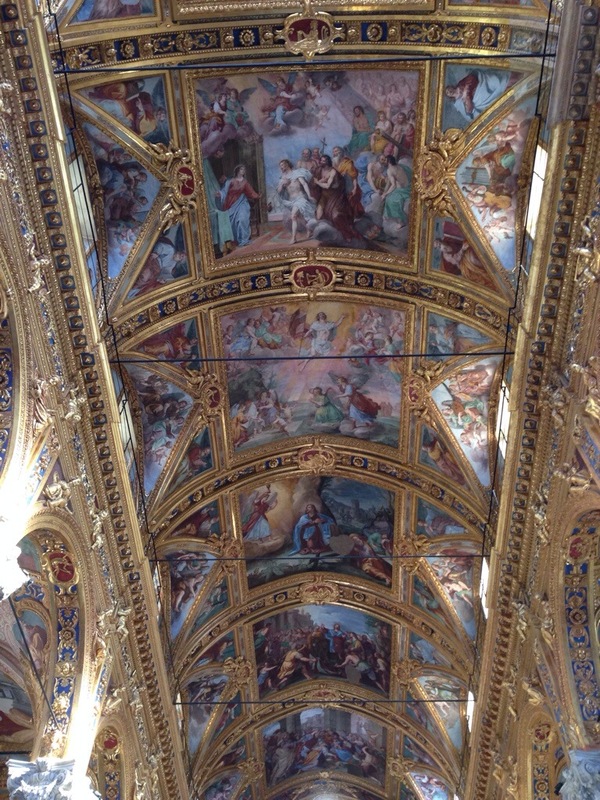 One final building that struck me was the Basilica della Santissima Annunziata del Vastato, which is richly decorated with Baroque murals. 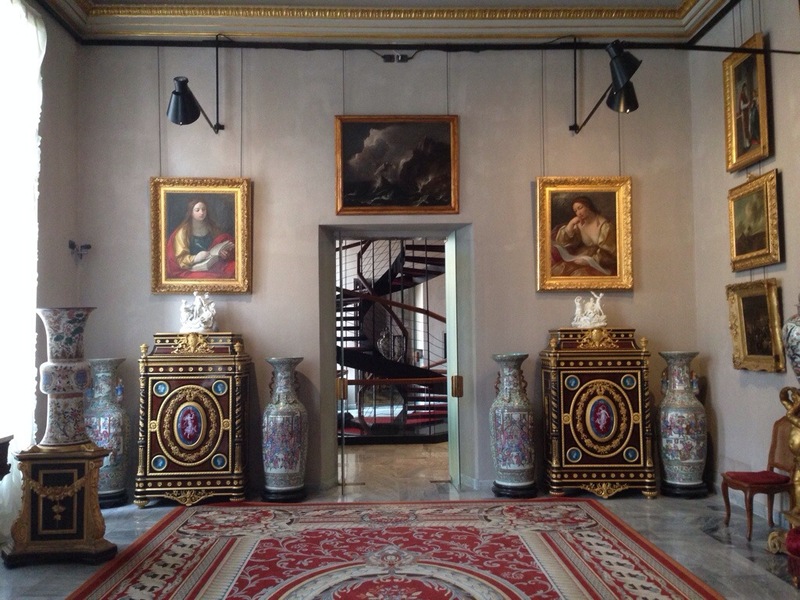 And this is perhaps why I am getting to like Italy so much – you can just walk into a building that you know nothing about and be hit with an interior like this. This entry was posted in 2014, Italy and tagged europe, Italy, natalie, Tom on 30 July, 2014 by Tom Livesey.